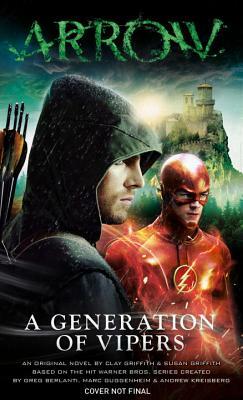 The second original novel based on the hit Warner Bros. TV show Arrow and concluding the first crossover between The Flash and Arrow novels! Continuing from the events of THE FLASH: THE HAUNTING OF BARRY ALLEN, team Arrow and team Flash seek to eliminate the bizarre energy that threatens to kill the Scarlet Speedster. Their quest takes them to Markovia, where they must get past an army of mercenaries and assassins to face the enigmatic Count Wallenstein. Susan and Clay Griffith are a husband and wife team who have written the original Vampire Empire fantasy series for Pyr Books, as well as the tie-in Crown & Key series for Random House. They've written numerous short stories for anthologies, some featuring noted genre characters such as Kolchak the Night Stalker and The Phantom, and have scripted comics including The Tick, The Simpsons, and Vincent Price Presents.